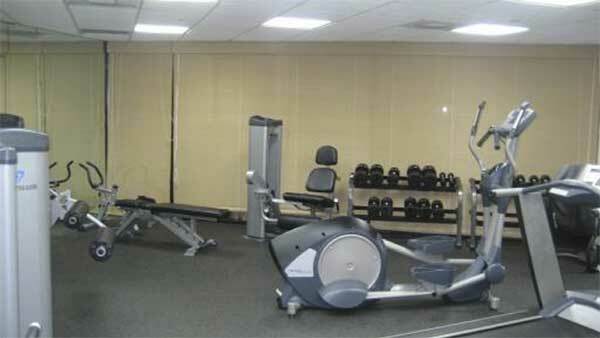 Units Sizes: 910 to 1,302 Sq.Ft. 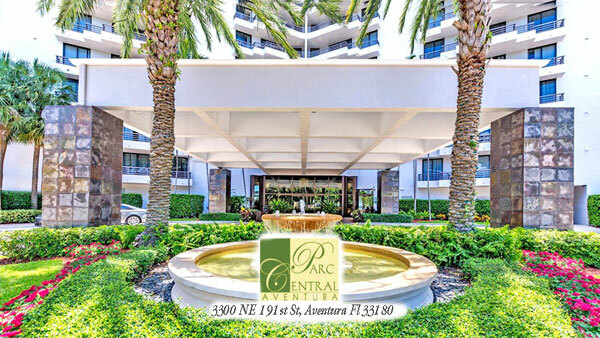 Parc Central, twin residential towers located at 3300 NE 191 St (south tower) and, 3300 NE 192 St (east tower), Aventura Fl; sharing more than ten acres boasting unbelievably stylish residential features and amenities. Parc Central Condominium includes a pair of heated pools designed to look like a lagoon as well as Jacuzzis so finding somewhere to relax is only a matter of finding an empty lounge chair on the Parc Central deck. Additional conveniences include a pair of fitness facilities, a business center complete with meeting rooms and a club room ideal for mingling with neighbors. 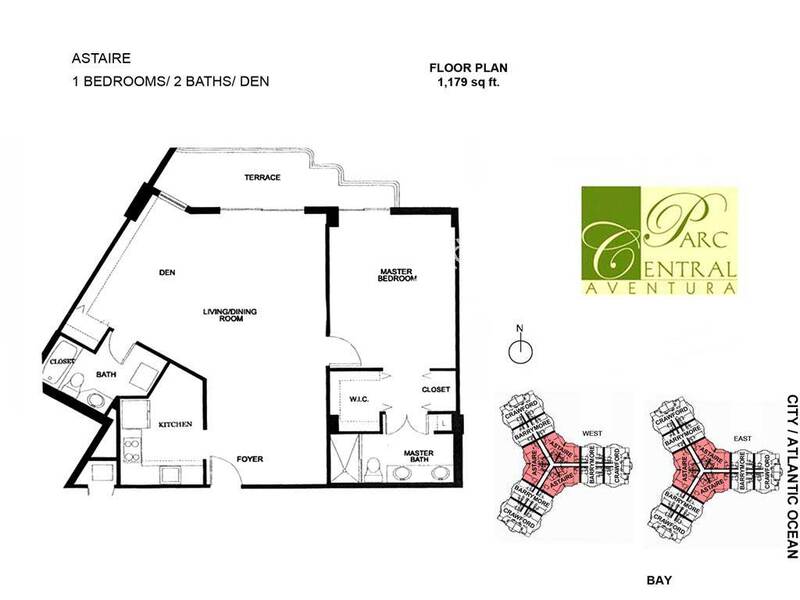 Parc Central East units feature wraparound balconies, gourmet open kitchens with wood cabinetry, quartz or granite counter tops, stain steel appliances, washer, and dryer in the apartment. 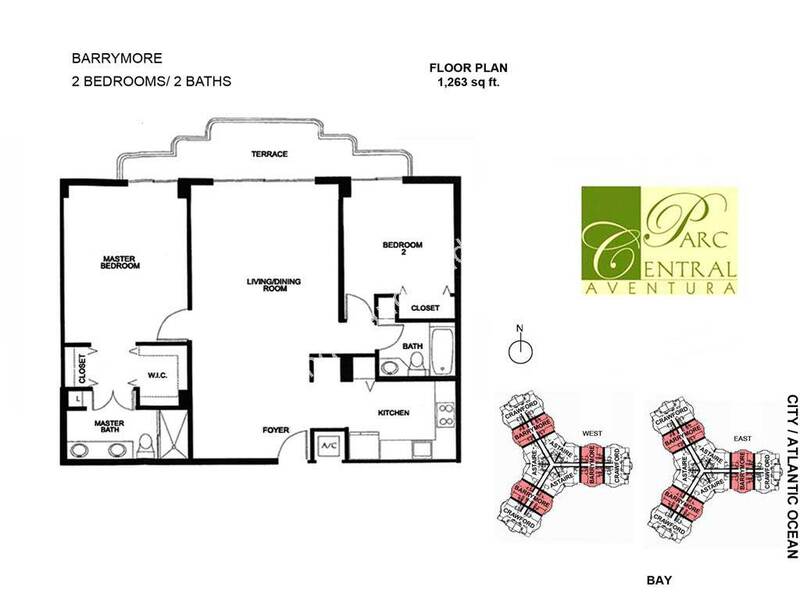 Residences with one, two and three bedrooms with floor plans ranging in size from 910 to 1,302 Sq.Ft. 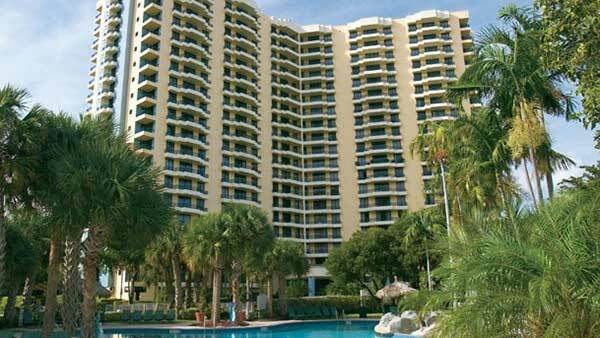 Most of the condos at Parc Central East have a spectacular view of the Turnberry Isle Golf Court, the Atlantic Ocean, and the Intracoastal Waterways. 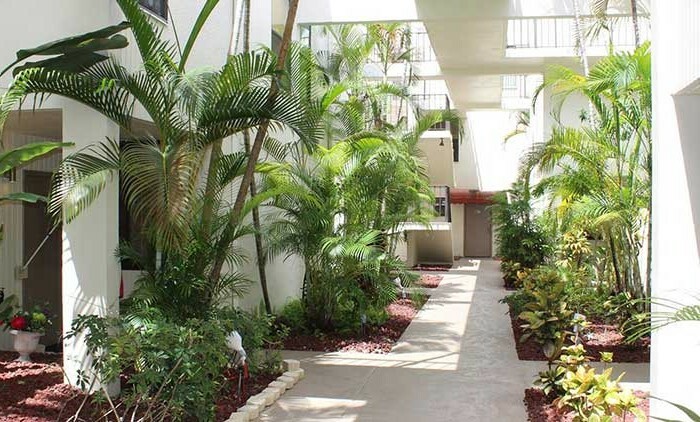 Aventura public school is the Aventura Waterways K-8, Dr. Michael Krop High School. There is also a charter school that opened on 2003 the, Aventura City of Excellence School, a K-8, that has an enrollment cap of 100 students per grade, a private charter school company operates it. 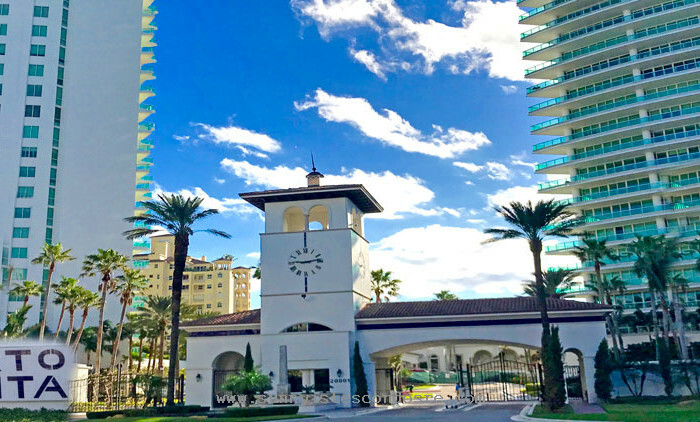 Aventura is home to one of the country’s best golf courses, The Turnberry Isle conveniently located across the street from Aventura Mall. Turnberry Isle is home to both the par 72 Soffer and par 70 Miller Courses, boasting two 18-hole championship golf courses, as well as a luxurious spa and three restaurants. Robert Trent and Jones Sr. designed the golf course, Raymond Floyd redesigned Turnberry Isle with signature features including clever doglegs and water features along the rolling green’s. Aventura is synonymous with Aventura Mall, the largest mall in Florida and amongst the top five highest grossing in America. A premier shopping destination, with over 300 retailers spanning 2.7 million Sq.Ft., it’s both luxury and approachable making it a shopper’s paradise. Anchored by Bloomingdales, Norstrom and Macy’s to name a few. Also, you can enjoy a good movie at the AMC movie theater, or go for a jog at Equinox Fitness Center or enjoy a delicious meal at any of the onsite restaurants, like Bella Luna and many others. And just north of Aventura Mall in Hallandale Beach, you will find Gulfstream Park, one of the unique entertainment venues in South Florida. Anchored by a horse racing track featuring year-round championship racings, over twenty restaurants to choose, shopping, a casino, bowling, and live music. South Florida attracts affluent beach lover, thrill seekers and families from around the world, many of those visitors decided to purchase a home or condominium, for that reason Florida has more international buyers than any other state in the country. The top three areas our international buyers come from are Canada (22%), Europe (23%) and Latin America (34%). 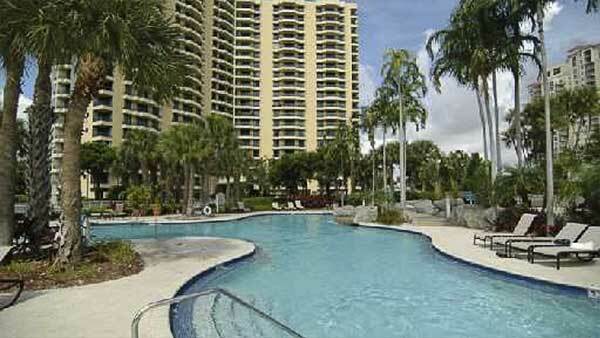 Our year-round outdoor lifestyle, world-famous beaches, attractions, professional sports, cultural and fine arts. My 20 years of real estate experience in Miami, has allowed me to develop a deep understanding of the local real estate market. When combined with the marketing campaigns from Optimar International Realty, one of the best Real Estate Company with offices across Miami, New York, South America, London, and Israel, have proven time and time again that listing your home with me will drive the most highly qualified buyers to your home. 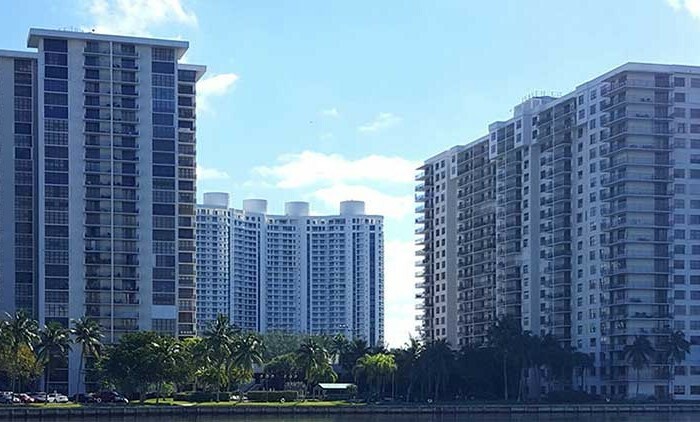 When you ready to buy or sell your home at Parc Central, Hidden Bay or Aventura Marina, hire the best and the brightest in the industry, you can contact me at 1+305-281-8653 or email us at ghrealtor18@gmail.com, it will be my honor to help you find your next home in South Florida. Hablo Espanol.